“I’m going to put this in a prominent place. Once I get an apartment,” deadpanned jazz pianist Jon Weber on accepting his Bistro Award for Best Musical Historian and Entertainer. 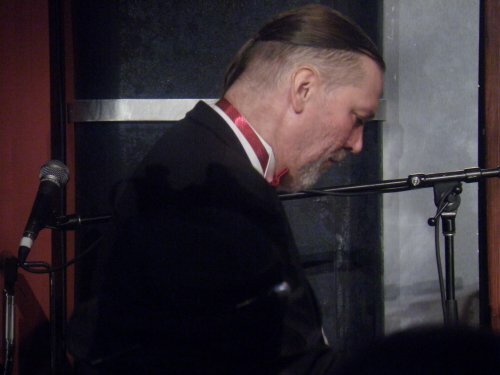 Prior to his funny speech that detailed his nine-year journey through the world of New York City’s small nightclubs, he performed a jaunty medley of music by James P. Johnson at the piano. He joked that even eight years ago he would not have imagined that he would be playing Johnson, Sondheim (accompanying Jeff Harnar), and Noel Coward (accompanying Shana Farr) all in the same evening. This award was presented by Mark Dundas Wood, one of three co-hosts from the 30th Annual Bistro Award Committee. Bob Harrington, who died of AIDS at the age of 42 in 1992, was the cabaret critic for The New York Post and the cabaret columnist for Back Stage. It was at that publication in 1986, in his “Bistro Bits,” column that he created the informal Bistro Awards that noted his selections for the year’s outstanding cabaret performers. This inaugural incarnation comprised 100 honorees. He later began consolidating his choices into distinct categories. In 1989, it became an actual awards show, first held at the cabaret club Eighty Eights, and later at other defunct venues. These have included The Ballroom, The Supper Club (now called The Edison Ballrooom), and for the last nine years the cavernous Gotham Comedy Club. Lasting close to three hours without a break, this year’s packed ceremony was a cavalcade of distinguished cabaret artists and newcomers, performing in an extravaganza that celebrated outstanding figures of New York City nightlife, in the format of an awards show. The structure was composed of past honorees presenting awards in designated categories, followed by performances and acceptance speeches by those selected. As there were no nominees, it really was celebratory, rather than competitive. Intermixed were performances by other previous awardees. The personable host of the event was Jason Graae. He opened it with an original comical song, “Bistro Blues,” about the past of these awards, with music by Rick Jensen and lyrics by Sally Mayes. He later introduced performer Aaron Lee Battle who sang a cool, “I’m Just a Lucky So-and-So,” written by Duke Ellington and Mack David. Off-stage announcer Sidney Myer, with his bombastic New York accent and energy, added riotously to the proceedings. “I learn from all of you,” emotionally declared Shana Farr on accepting for Best Concept Show, for her Noel Coward and Cole Porter tribute. She then performed a lovely, “If Love Were All.” This award was presented by co-host Robert Windeler. Sweeney Todd original cast member Sarah Rice introduced Jeff Harnar. 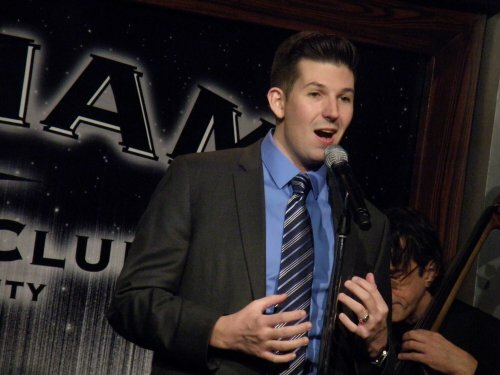 He did a sweet Sondheim medley of “The Little Things You Do Together,” “I’m Calm,” and “Getting Married Today.” He then presented the Best Vocalist Award to Celia Berk, who marvelously performed Sondheim’s little known song ”Sand,” from the unproduced movie musical, Singing Out Loud. Comic actress Mary Testa presented Best Vocalist to Marissa Mulder, who did a wonderfully breathy, “In the Still of The Night.” Associate producer Roy Sander presented Best Singer-Instrumentalist to Eric Comstock who performed, Burton Lane’s “That Great ‘Come-and-Get- It’ Day,” at the piano. Mr. Sander also introduced past comedy honoree, John Fugelsang, who movingly spoke of how that award helped his career, and then did his political comedy routine, with his characteristically dry, low-key delivery. 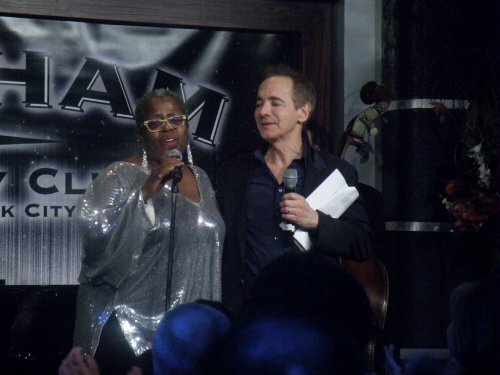 Beaming Broadway musical comedy veteran, Lee Roy Reams presented the final honor, the ASCAP Major Engagement Award to Lillias White. “My grandmother’s table was my cabaret,” she recalled about the beginning of her long and successful career. 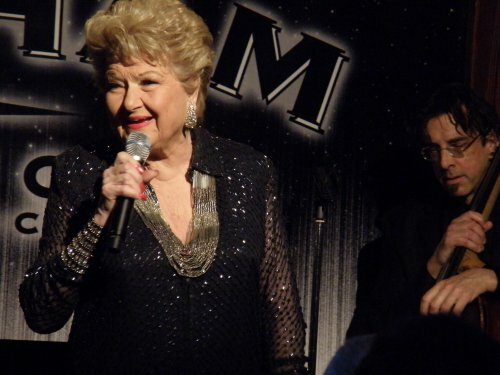 In a full-out performance, she then recreated her Tony Award-winning role as an aging prostitute, from the 1997 Broadway musical The Life, with her signature song, “The Oldest Profession.” It was a commanding and fitting finale to this exuberant event. The excellent band was composed of musical director Daryl Kojak on piano, Rex Benincasa on drums, and Ritt Henn on bass. The technical aspects were superior and seamlessly rendered by sound engineer Jean-Pierre Perreaux and Matthew Gandolfo’s lighting. 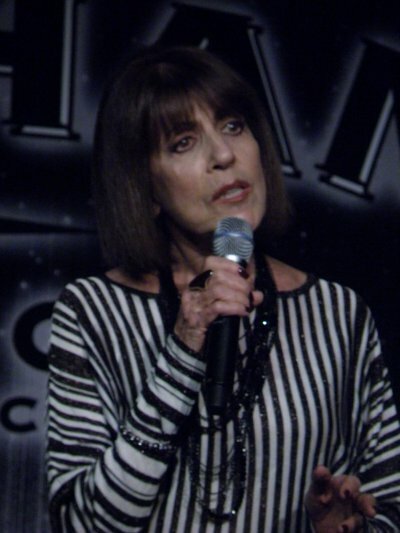 That the volume of performers and speakers with their highly effective appearances and performances were so well paced, was a testament to Shellen Lubin’s accomplished direction.